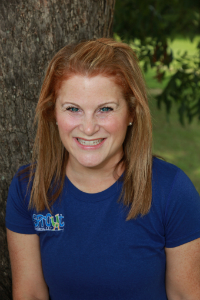 Leila is a Speech Language Pathologist with Sprout Pediatrics. She attended the University of Georgia and received a BS Ed. in Communications Disorders in 1999 after which she received her Master’s in Speech-Language Pathology from Georgia State University in 2002. Leila specializes in oral-motor and feeding therapy and absolutely loves the challenge of helping children learn to eat and tolerate various foods. She is known for incorporating lots of sensory therapeutic play into her feeding therapy as well as really involving the whole family in the feeding process. Leila also enjoyed doing Hippa therapy (the use of horseback riding for a child with Autism and other children with special needs) when she lived in Georgia and hopes to resume this sometime in the future. Most recently Leila has taken the Importance of Play for Young Children and Sensory Issues in Young Children course. Leila and Jay have been married for 11 years and have a 6 year old daughter, Sandy, and an almost 2 year old girl, Lexi! They both are the light of their lives! Leila adores her two four-legged children, Teddy and Happy, and she loves going on long walks around the lake in her neighborhood with her family. Leila also loves to play tennis, do anything at the beach, and spend time with her family. Sprout Pediatrics exists to cultivate hope in children and their families for a full life experience by surrounding them with innovative therapy, education and connection within their community.